Maserati has recently unveiled the Trofeo JBF RAK Middle East, a special racing event in, you guessed it, the Middle East. Drivers will battle it out against 15 other Maserati GranTurismo MC Trofeo race cars in over 12 races across the region. The races will be hosted from November 11th, 2011 at venues such as the Dubai Autodrome in the UAE and the Losail Circuit in Qatar. Some other top-notch venues include Bahrain and Abu Dhabi. 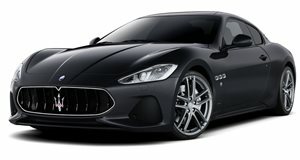 The Maserati GranTurismo MC Trofeo is powered by a 4.7 liter V8 engine with an output of 488hp. The transmission allows for a rear-wheel drive setup and a paddle-shift gearbox that changes gears in the vicinity of 60 milliseconds. Package fees for entrants range anywhere from $135,000 to $145,000 and include full technical assistance of the circuit, logistical management for the car, a Maserati Trofeo race suit, and hospitality for drivers and guests. There will also be two free practice sessions lasting 40 minutes for each race weekend and two qualifying sessions of 20 minutes plus two 30 minute races.